The Aberdeen Armory house several local organizations, including the Aberdeen Museum of History - all of them important to the town. 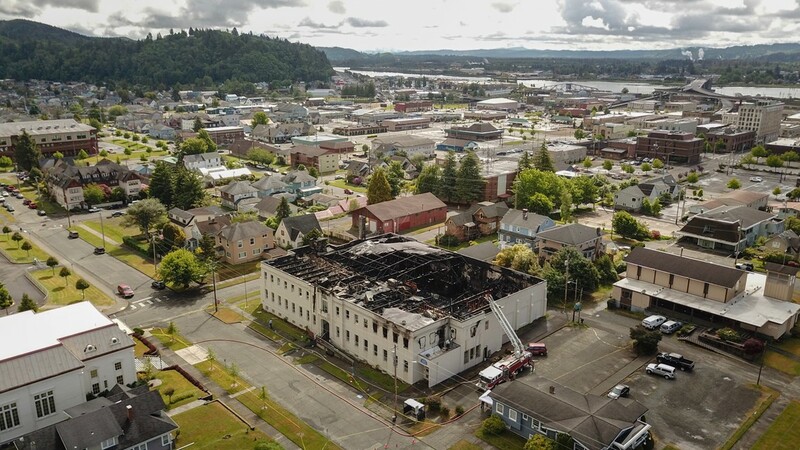 History was lost in Grays Harbor County after a massive fire tore through the historic Aberdeen Armory Saturday morning. 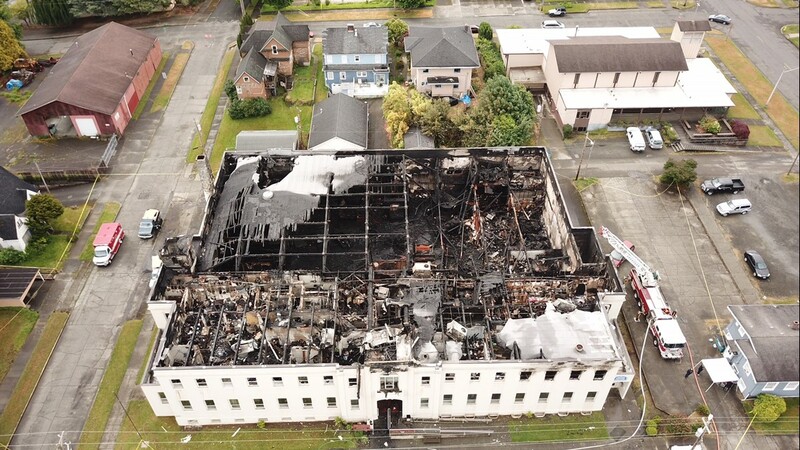 Video from the scene showed flames of the three-alarm fire and a column of black smoke erupting from the roof of the 96-year-old building, frequently used for community events and houses the Aberdeen Museum of History - which has an entire section dedicated to Aberdeen native Kurt Cobain and iconic grunge band Nirvana. 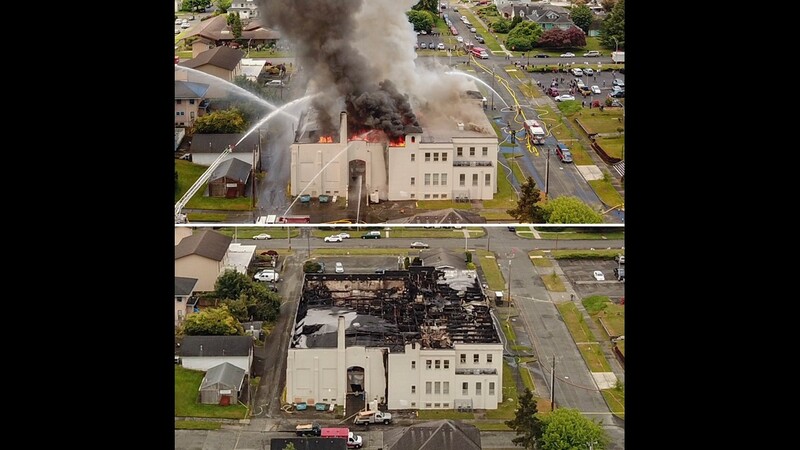 Viewer Eric Timmons captured the devastating fire on drone video and shared it with KING 5. "People have come from around the world to see what we had on Nirvana," he said. "Then we when they saw the rest of the history they were impressed. There's more to Aberdeen than just Kurt Cobain. He said even if it's a total loss, it will just be another part of the town's story for him to tell. "History is made every second," he said. "This fire is history, so it will be in the record books. And we're going to rebuild and move on, and keep the history preserved. That's my job." 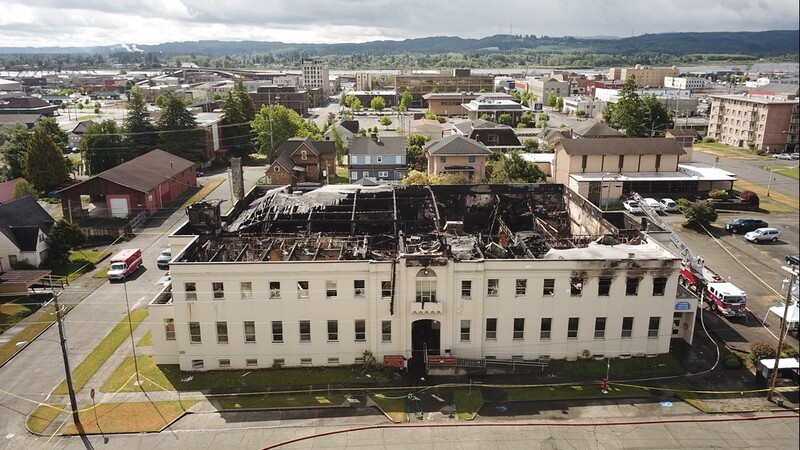 The historic building has other multiple tenants: the Grays Harbor Genealogical Society, the Aberdeen Senior Community Center and the Grays Harbor Community Action Program. Stephanie Bloomfield watched as the building smoldered. She worried about a gap in social services with the community action program. Just a few months ago she was in that office, looking for help finding a place to stay. "I do worry actually," she said. "There's a lot of people that need it. Without this, there's really no help." Grays Harbor 911 says there were no injuries. 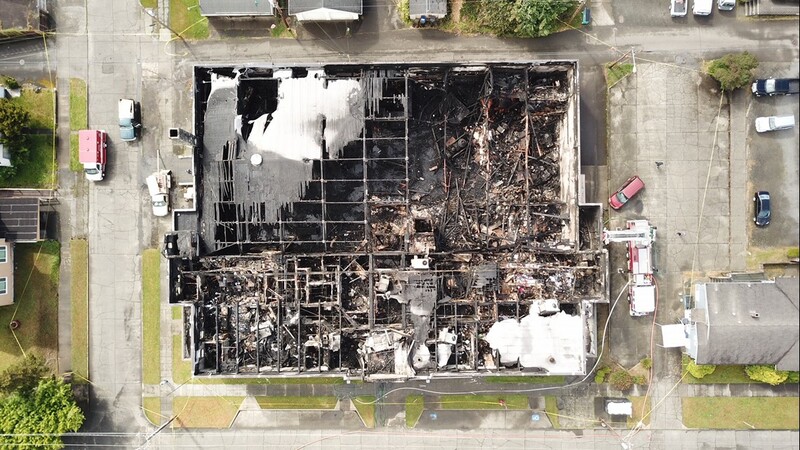 Residents in Aberdeen took to Facebook to mourn the fire's damage. "Devastating loss of history," said Facebook user Kelly Lynn Maxfield. Originally building in 1922, the Armory was initially used by the 489th Company Coast Artillery Corps and was later occupied by 12 different National Guard companies and battalions until 1978, according to the Aberdeen Museum of History. Since the Armory had a large main floor, it was also offered as a mixed-use facility for the community and hosted several non-military public events, such as basketball games, car shows, dances, and auctions. In 1976, the Armory was bought from the state by the Swanson Brothers, a well-known local family who introduced the concept of a "supermarket" to Grays Harbor. In 1981, the Swanson Brothers donated the Armory to the City of Aberdeen, on the condition the building is used for public purposes only. Since 1981, the city, the Aberdeen Museum of History, and the Community Action Council have poured nearly $250,000 into rehabilitation and renovating the building.